Who''s the fairest of them all? 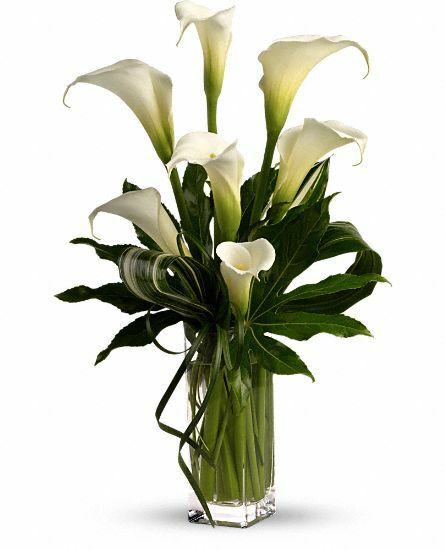 Elegant callas, without a doubt. 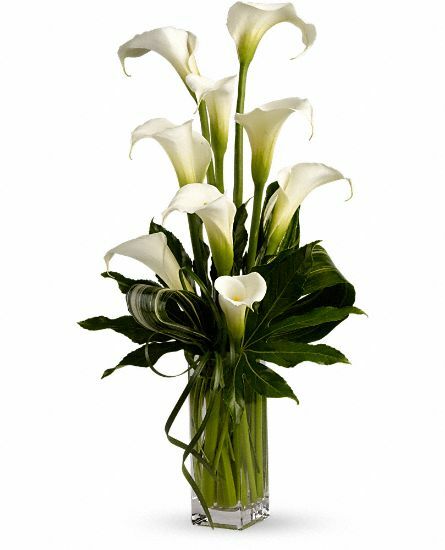 The graceful white flowers are accented with Zen greenery in a tall glass vase for a modern, romantic arrangement.